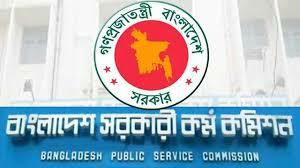 The Public Administration Ministry has published a gazette notification recommending for appointment of some 1,221 candidates of the 37th Bangladesh Civil Service (BCS) examinations. The ministry concerned issued the notifications on Wednesday afternoon. As per the gazette notification, the qualified candidates will be appointed in different sectors. The final results of the 37th BCS exams were published on June 12 with the recommendation of some 1,314 examinees for various cadre positions.